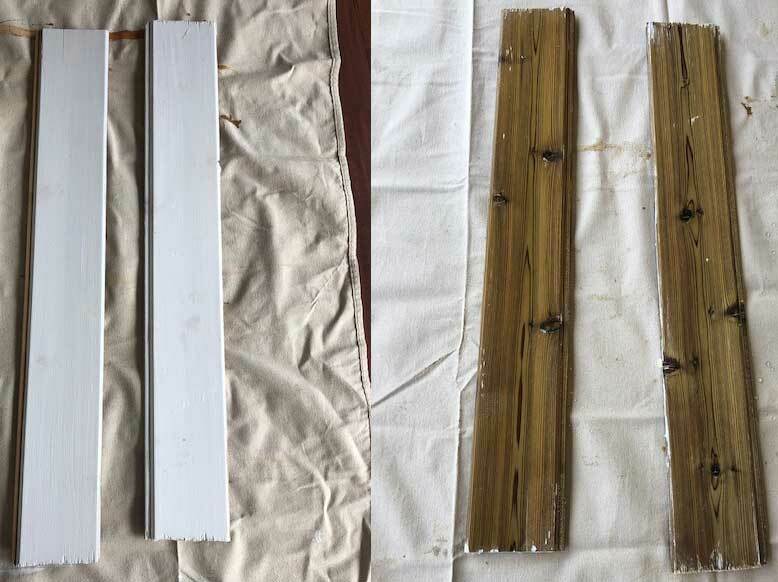 – The Restore-A-Deck Stain Stripper with the Booster Additive was tested on Behr Premium Acrylic Semi-Transparent and a White Solid Stain. The stripper was very effective at removing over 100% of the Behr on our test boards (see pictures above). With the Solid White Stain, it removed 98% of the stain. 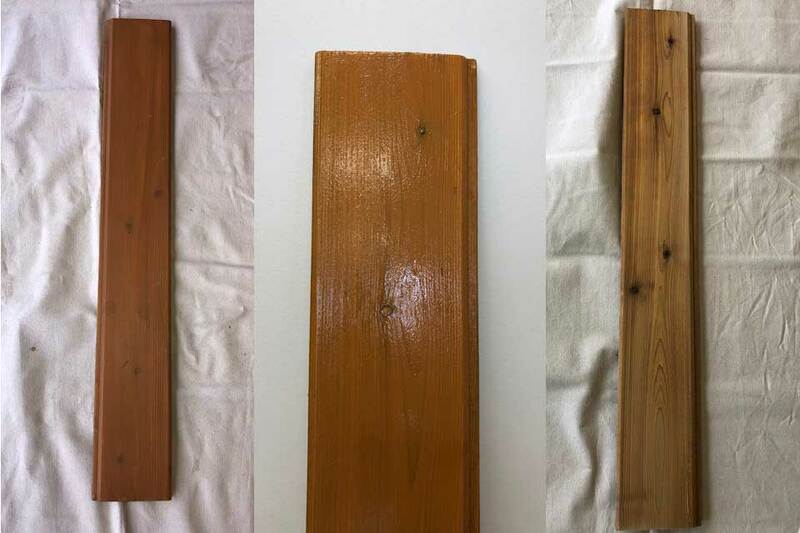 Note on Solid Stain removal, while it worked very well for us on these test boards, Restore-A-Deck is not guaranteeing a solid stain removal with the 2 additives in their product description. 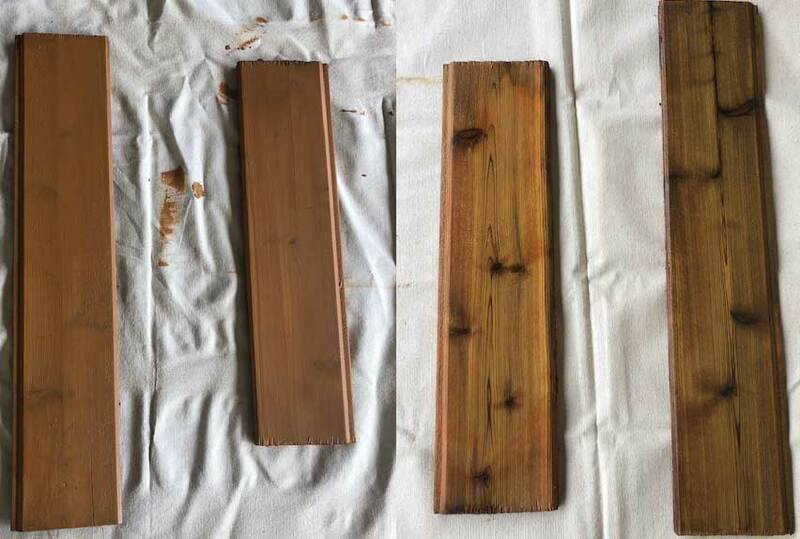 If removing a solid stain, the RAD Stripper and Additives will definitely help, but you may still need to do some sanding to remove all. 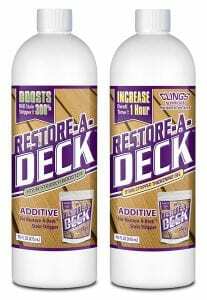 – The RAD Deck Stain Stripper with the Booster and Thickening Gel Additives mix with 5 gallons of water. We tested the stripper by using a pump sprayer for application. – Great at removing both our Behr Acrylic and White Solid Stain. It was very important that you used a wood brightener to neutralize after use. 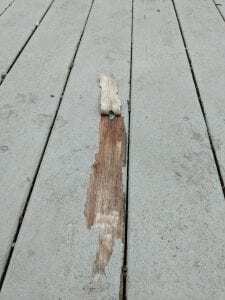 Product Type: Deck Stain Stripper Additives to boost overall effectiveness. Available Sizes: 16oz. Add these into 5 Liquid Gallons of RAD Stain Stripper. Coverage Per Container: 500-750 sq. ft per 5-Gallons mixed. Application Tools: Scrub Brush, Pressure Washer, Pump Sprayer. 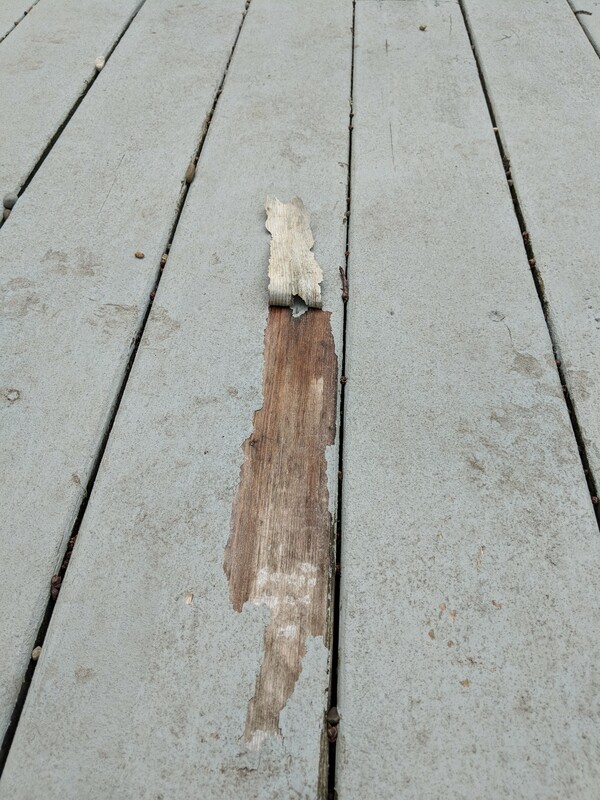 The condition of Deck: Behr Semi-Transparent Acrylic was removed. Solid White Stain. Cost: Retails for $19.99 per Additive. Video of Stripping Behr Premium Semi-Acrylic Stain with Restore-A-Deck Stain Stripper with Booster And Thickening Gel Additives. Hello, I have the Behr Deckover coating. It is that really thick paint like coating and it is peeling. Will this remove that? I hope I do not have to sand. Sorry but no. No stripper will remove the Deck Resurface type coatings like Behr Deckover and Rustoleum Deck Restore. They are too thick for any stripper to be effective. Sanding is your only option. Picture of Behr Deckover attached.